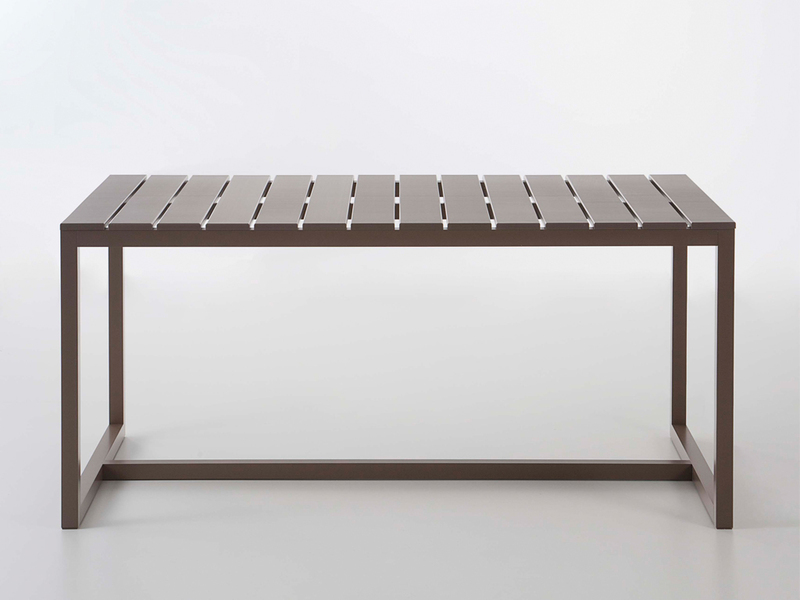 Dining table in the saler series of outdoor seating and tables. Its simple lines and restrained yet delicate appearance convey comfort and serenity. 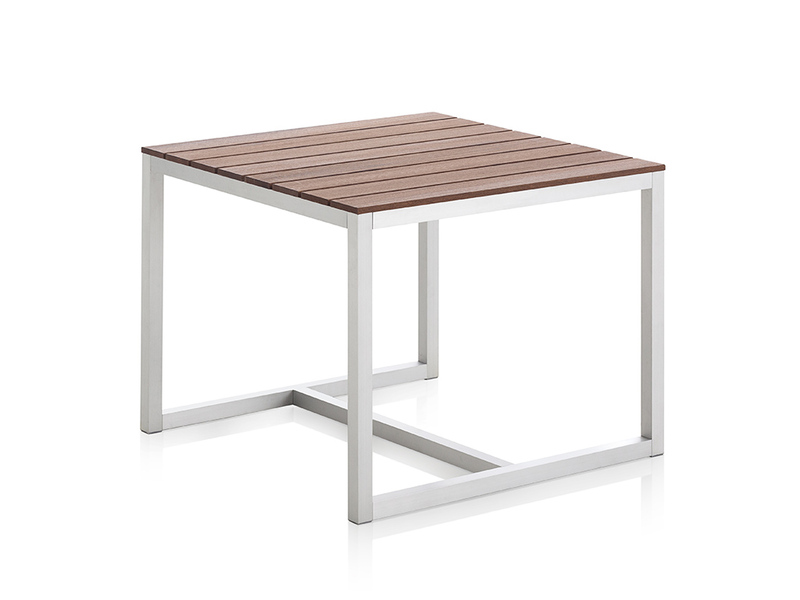 Made of materials such as anodized or lacquered aluminum and durable upholstery to withstand outdoor conditions. PVC tablecloth included in price. 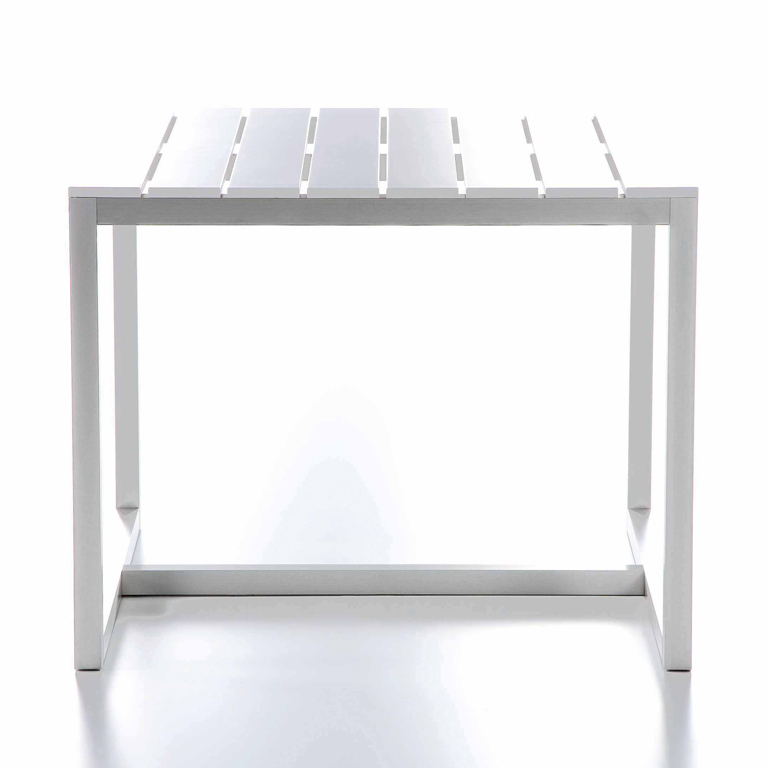 Base in anodized aluminum or thermo-lacquered aluminum in white, black, black, anthracite, sand or bronze. 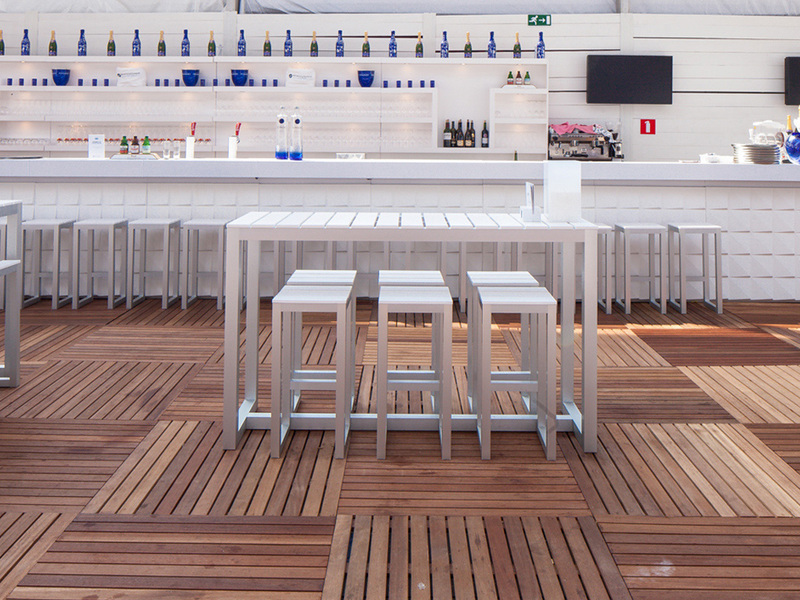 Top in 100% recyclable polyethlene in white, sand and bronze or natural teak.